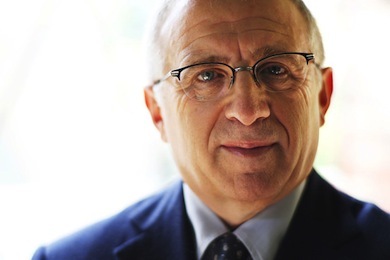 Legendary music industry executive Irving Azoff, 65, has announced the creation of Azoff MSG Entertainment. The company includes his artist management business (with clients including the Eagles, Steely Dan, Van Halen and Christina Aguilera), a television/live event division, a 50 percent stake in Digital Brand Architects, and a 90 percent interest in a publishing venture headed by former ASCAP executive Randy Grimmett. The company is backed by the Madison Square Garden Company, which supplied $175 million to the company. Azoff counts Madison Square Garden Company’s executive chairman James L. Dolan as a longtime supporter. The Madison Square Garden Company will pay $125 million for a 50 percent stake in Azoff MSG Entertainment, and will provide up to $50 million of credit to the company. Azoff will also serve as a consultant to the Madison Square Garden Company. In a joint interview, Azoff and Mr. Dolan described the mission of the new company as being somewhat loose, saying they see it as a lean, digitally focused company that will address the needs of the evolving music business. Azoff’s career began in artist management in the 1970s. Dolan joined Live Nation’s board in 2011, after the company merged with Ticketmaster and Azoff was named Executive Chairman. After Azoff exited his post as Chairman of Live Nation Entertainment and CEO of Front Line Management Group in January of this year, Dolan resigned from the board; Dolan’s company did away with its 3.9 million shares in Live Nation for $44 million.